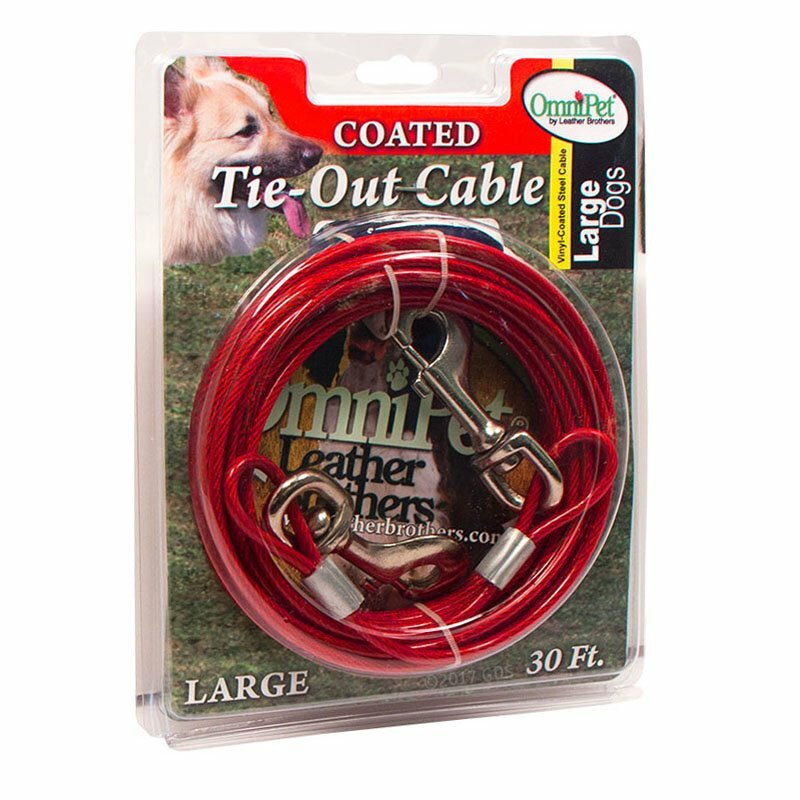 OmniPet Vinyl-Coated Steel Dog Tie-Out Cable -- 30 ft.. $13.99. 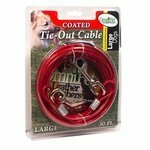 The cord is really strong but our German Shepherd mix broke it chasing something. It stands up in regular weather and use, but at the coast with the ocean salt air and sand, it breaks down and the clasp won't open plus it is liable to break if too much stress is put on it. Our first two purchased a year or so ago are toast. 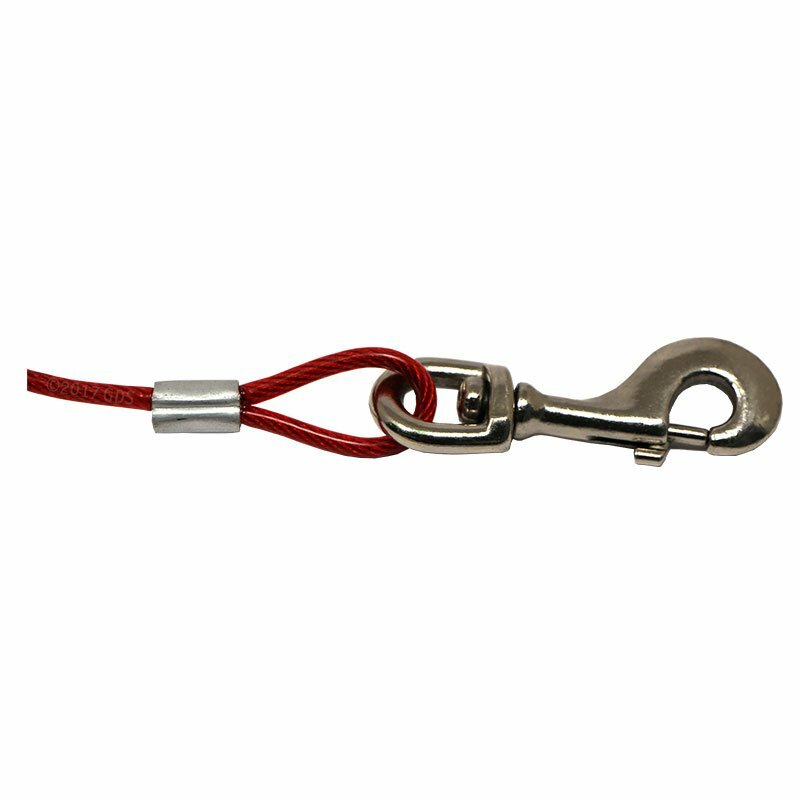 The two new ones are great but don't know if they too will go bad. 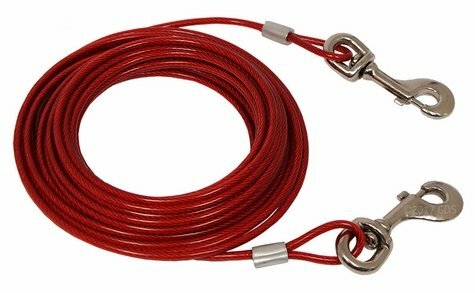 OmniPet Vinyl-Coated Steel Dog Tie-Out Cable -- 30 ft.
Vinyl-coated steel tie-out cable for large dogs.